Crisis Action, a dynamic international non-profit organisation Crisis Action with offices in Berlin, Brussels, Cairo, London, Nairobi, New York and Paris and which works to avert conflicts, prevent human rights abuses and ensure that governments fulfill their obligations to protect civilians, and more specifically facilitates joint campaigns and advocacy by international humanitarian and human rights organisations on conflicts including Sudan/South Sudan, Syria and Israel/Palestine, as well as targeted work on other conflicts, is looking for an intern for its small Brussels office. The intern, i.e. the Campaign and Research Assistant, will work with the Brussels Director and the Political Analyst. ● general administrative work and office tasks. Preferably for six months and full-time. The internship is unpaid, but local transport and a small lunch allowance will be paid. Please email your CV, cover letter and contact information for two references to brussels2@crisisaction.org with "Last name - Brussels Summer 2012 Internship" in the subject line. 6 June 2012. Applications will be accepted until 23:59 CET. Shortlisted candidates will be contacted for interview by 15 June. Interviews by phone are foreseen for the week of 11 June. Brussels, 15 September 2012 – 15 July 2013. Traineeship description (Asylum & Migration). 15 September 2012 – 15 July 2013. 3 June 2012 (no applications will be accepted after midnight that day). This interesting course in Spanish is organised by the Collège Universitaire Henri Dunant (Geneva, Switserland) and the UNESCO Chair of the Universidad de la Rioja (Logroño, Spain). ● Strengthen the ‘human rights approach’ in the design, implementation and evaluation of public policies, through better knowledge and use of UN mechanisms protecting human rights. ● Visit of the International Labour Organization. Preferably directed to persons studying law, social work, social and political sciences, journalism and communication studies, and to NGOs and human rights activists. The course is given by academics and practitioners from international organisations. Palais des Nations. Portail de Pregny, Avenue de la Paix 14, Geneva. UNESCO Office in Geneva (BIE): 15 route des Morillons, 1218 Le Grand-Saconnex. Reduced fee: 150 € (Students Universidad de La Rioja, members Universidad de La Rioja). Students must cover their travel expenses, room and board. Prof. Dr. D. Alfred Fernández, Director Collège universitaire Henry Dunant. Prof. Dr. Ana Mª Vega Gutiérrez, Director UNESCO Chair Universidad de La Rioja. Brussels, September 2012 – July 2013. ● You will be offered a “contract d’immersion professionnel”, making this a paid position, at present this is paid € 736,23 per month. ● In order to qualify for this contract, you must hold a work permit for Belgium or be allowed to work in Belgium. For further information, please see: working as a foreign national. ● Please send the application form only (only these will be considered; please indicate clearly which traineeship you are applying for) by e-mail in English to internships@amnesty.eu. The Human Rights Law Centre at the University of Nottingham organises its 2012 Summer School on ‘Protecting Human Rights through United Nations Mechanisms’. The Blog Administrators wish to underline that this is probably one of the best, if not the best course in Europe on the issue of 'human rights at the UN level'. The focus throughout will be practical and applied: the Summer School will give participants an insider’s understanding of the mechanisms and will equip them with the tools to best use the UN system for the protection of human rights. The School will have sessions devoted to the human rights treaty bodies (the reporting and individual communications procedures), the Human Rights Council’s Universal Period Review Procedure, Special Procedures (UN human rights special rapporteurs, etc. 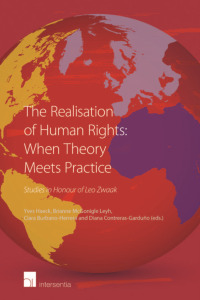 ), and the work of the Office of the High Commissioner for Human Rights and its field presences. The Summer School is a highly interactive event in which all participants will be encouraged to be fully involved. The training methods include presentations, Q and A, group exercises and role play. All participants receive an extensive electronic file of resource materials. The Summer School is designed to benefit professionals in non-governmental organisations, national human rights institutions, governments, international governmental organisations, field operations, and interested academics and students. The Summer School is led by key experts in the field. The course fee is £900, which includes tuition, lunches and refreshments, accommodation (bed and breakfast rate), and course materials. The course fee is £650 for participants who do not require accommodation. There is a non-refundable deposit of £200 payable upon registration. The remaining fee must be paid by 1 June 2012. Participants will need to meet their own travel costs and arrange visa and other UK entry requirements. The International Peace Information Service (IPIS), a research NGO which works on Sub-Saharan Africa, is looking for two research interns to support its research on business and human rights. The interns will work at the Antwerp office, 45 minutes from Brussels, Belgium. 2. The impact of Chinese investments in the Democratic Republic of Congo. In a small and dynamic team, the intern will have the opportunity to work in close cooperation with the research team on corporate social responsibility in a leading research NGO in the fields of natural resources, arms trade and corporate social responsibility (CSR) in sub-Saharan Africa. The intern will undertake substantial research on issues of business and human rights, contributing to the work and publications of IPIS. The intern will also assist the researcher corporate social responsibility’s everyday work and in the activities of the organisation, including, when possible: attending meetings with officials and other organisations; participating in project design; and following projects up. Depending on upcoming the possibilities and the progression of interns’ work, they may have the possibility to introduce their own research interests. This has the potential to contribute to an IPIS publication, for which the intern would bear considerable responsibility. 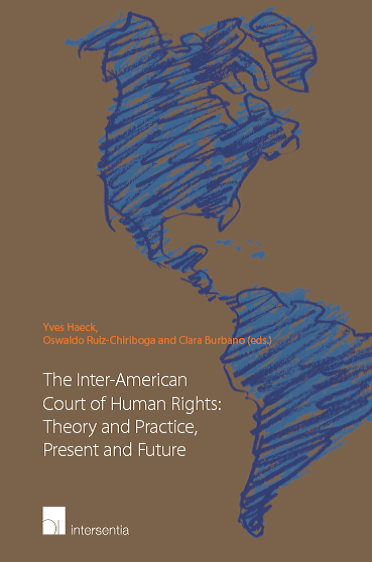 ■ An understanding of recent evolutions in Business and Human Rights. ■ Knowledge about EU law and policies. At least 3 full days per week for a minimum of 4.5 months, or full time for a minimum of 3 months. Mid to Late June 2012. 3. A unedited writing sample of recent work. The International Peace Information Service (IPIS) is a research NGO which works on Sub-Saharan Africa. We focus on arms trade, exploitation of natural resources and corporate social responsibility. IPIS also devotes attention to post-conflict reconstruction, sustainable development, human rights and environmental issues. We carry out in-depth research into the exploitation of natural resources and put into perspective issues as the redistribution of rents, poor governance and corruption, the financing of conflicts, and corporate social responsibility. For more information please contact us at info@ipisresearch.be or visit our website at http://www.ipisresearch.be/.